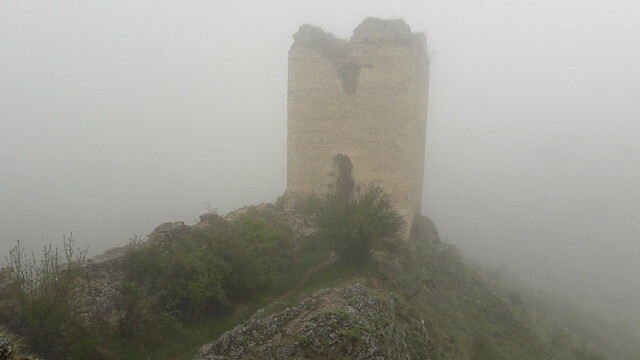 Part of our 1st of May trip in the Rimetea area, we also took a walk to the ruins of the Colțești or Trascău fortress. 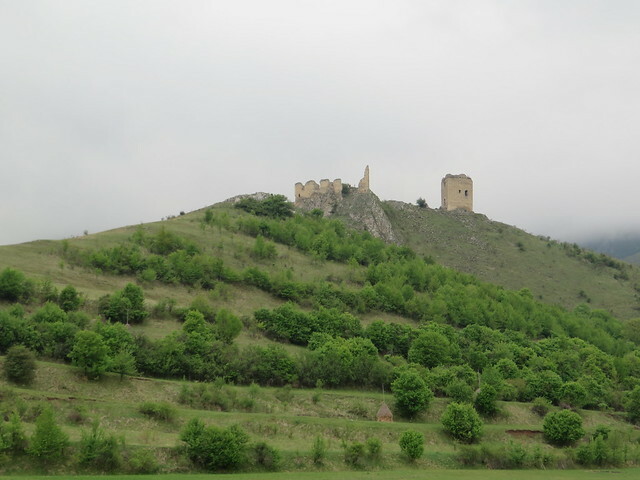 Situated just outside the Colțești village (3 km from Rimetea), you can reach the fortress after a 30 – 45 minutes walk. The fortress was built around the year 1296, as a place to live, but also as a shelter in case of emergencies. The fortress is now a ruin, mostly because of the invaders of those times, but also because of all sorts of natural calamities that have happened. 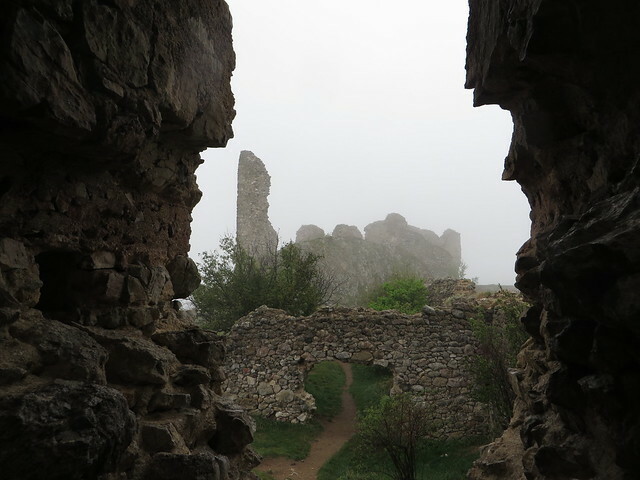 We got to the fortress on a foggy morning, which made the place look a bit creepy. You can inspect the fortress at your own pace, walk around and inside the ruins. 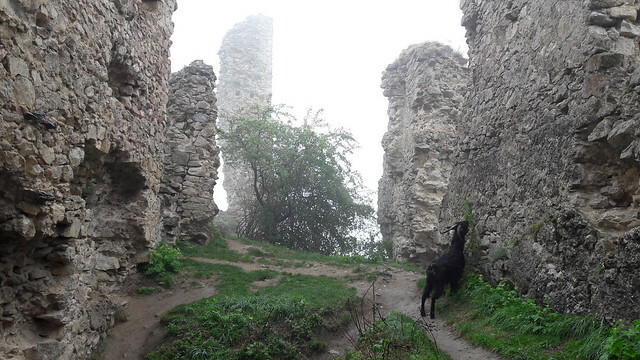 We even found a black goat that was calmly having its breakfast inside the fortress. Unfortunately, due to the fog, we didn’t get the chance to see the panorama of the mountains and the villages laying at the feet of the fortress, panorama which is said to be very beautiful.